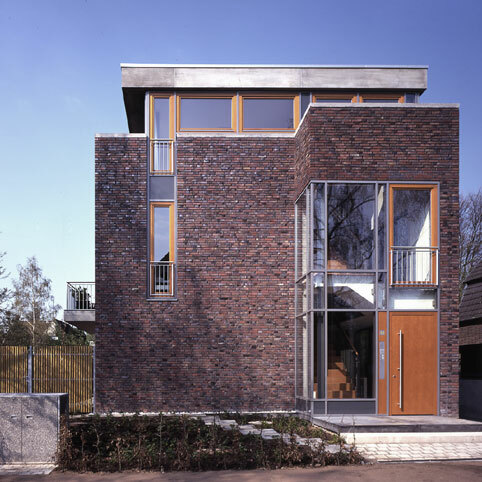 Our aim was to integrate the house harmoniously into the existing 1920s-style villa-like surroundings while at the same time realising a modern cubic building with clear lines, made of brick. Three spacious apartments with large glass frontages open to the south and west towards the extensive garden. On the street side, the glazed projecting stair well adds a striking accent. The inside features an open floor plan with bright airy rooms.